Electric campervan warriors of the world unite! We’ve got a great little van to show you today, and theres an added bonus that we think will be right up your street. 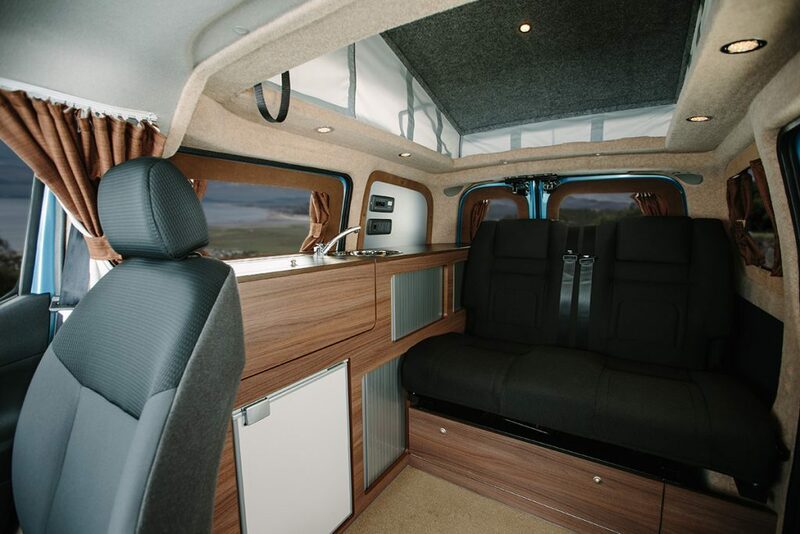 Thats right, this is the worlds first all Electric Campervan. With 80% quick charge in just 30 minutes and at a running cost of just 2 pence per mile, its got to be the future of camping. Are we right? Getting from A to B in comfort with zero emissions can’t be possible, right? We’ll check out the photos in this thread and see for yourself. With high quality fitted units as standard, the Dalbury E produced by Hillside Leisure is definitely a force to be reckoned with. 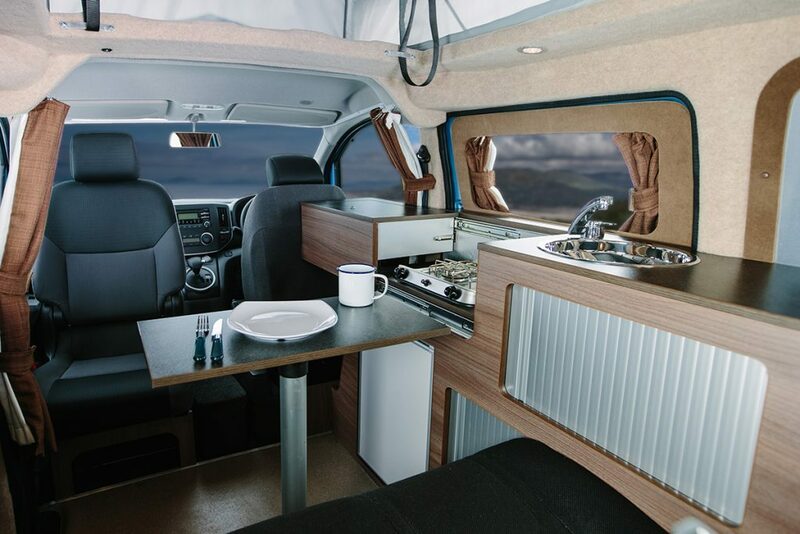 It’s got everything from air conditioning and climate control, right through to swivelling passenger seats that turn into your bed and a 39 litre 12v fridge. Theres a 95 watt solar panel that provides power for your gadgets, and of course you can tap into the electrics and use your 3 prong plug devices to charge things up too. Theres a silent key push start system (no need for an ignition) a handy rear view camera for parking tight spots. It’s more swiss army knife than campervan! The side kitchen has a nice spacious sink and a hide away hob for cooking, and the fridge looks as though it can hold as much kale/beer (delete as appropriate) as you could ever need. 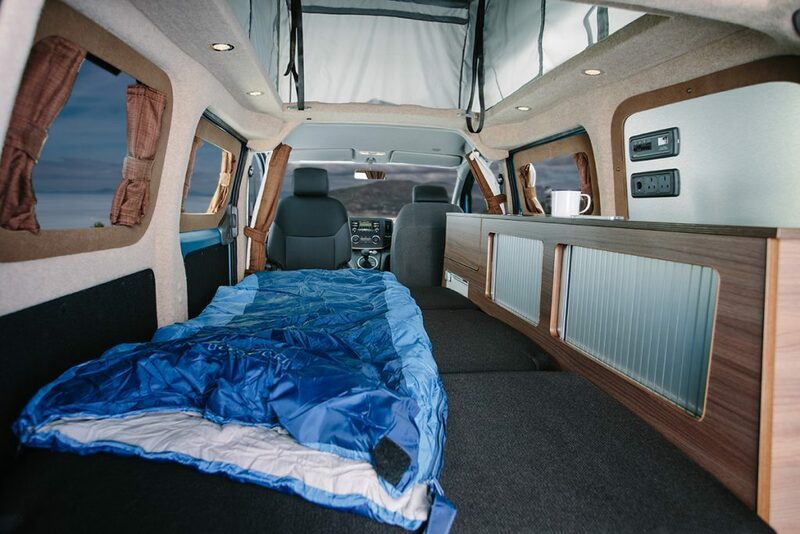 Bring your van life essentials and you’ll be sorted! The main base of the van is a Nissan e-NV200, and Nissan can provide you with a dedicated Home Charging Unit that is supplied and installed for FREE by British Gas, Nissan’s Home Charging Partner. No more trips down to the petrol station, just chuck a lead through the window and you’re good to go. Fast charge stations can get you up to 80% charge in just 30 minutes. Thats enough time to do your shopping, grab a coffee and then head out into the hills. Another plus point is that there absolutely no road tax to pay on this vehicle, and the service costs are around 40% cheaper than petrol or diesel campers. If, like me, your sole aim in life is to save as much money as possible (it’s a Northern thing) then you’ll be starting to see why moving to an Electric vehicle is the way forward. It’s zero emission, it’s quiet, it’s cheap to run and free to tax, it’s a reliable vehicle that you can comfortably camp in at any time of the year…..do I need to go on? Prices start from just under £30k, which I think is a small price to pay considering the amount of savings that you’re going to make. If you only go camping once every blue moon then this probably isn’t for you, but if you’re a self proclaimed ‘weekend warrior’ then this should be next on your ‘dream campers to purchase’ list. Like it or loathe it? Join the Van Clan on Facebook, Twitter and Instagram and let us know your thoughts.